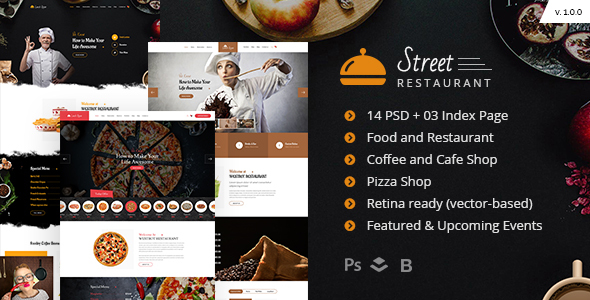 Street Restaurant PSD Template is perfectly fitted for any type of restaurant. 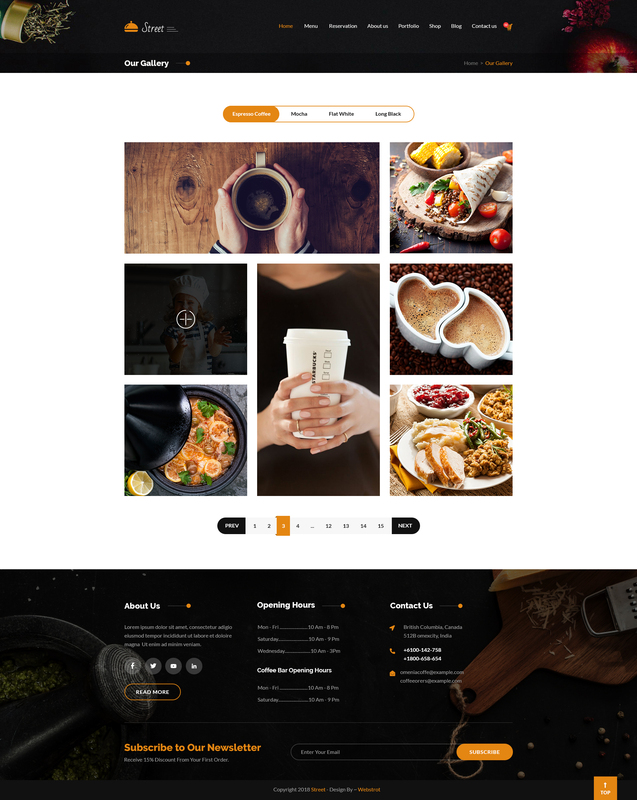 This template is suitable for – Restaurant / Cafe / Food Bootstrap HTML Template is a perfect choice for you to start up business through your website. 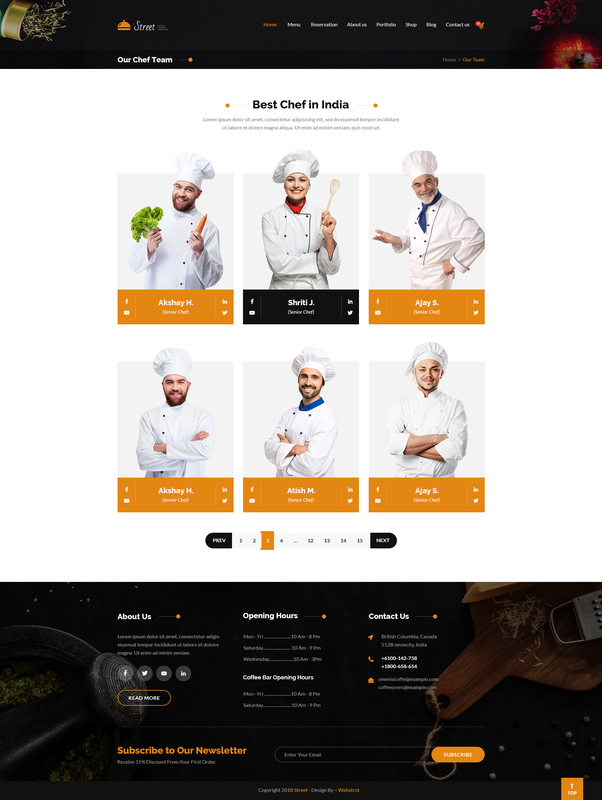 It is a clean & modern PSD Template useful for 5 Star Hotel Restaurant, Street Food, Food Court, Bakery, Coffee Shop, Tea Store, Catering Service, Food business and personal Chef websites. 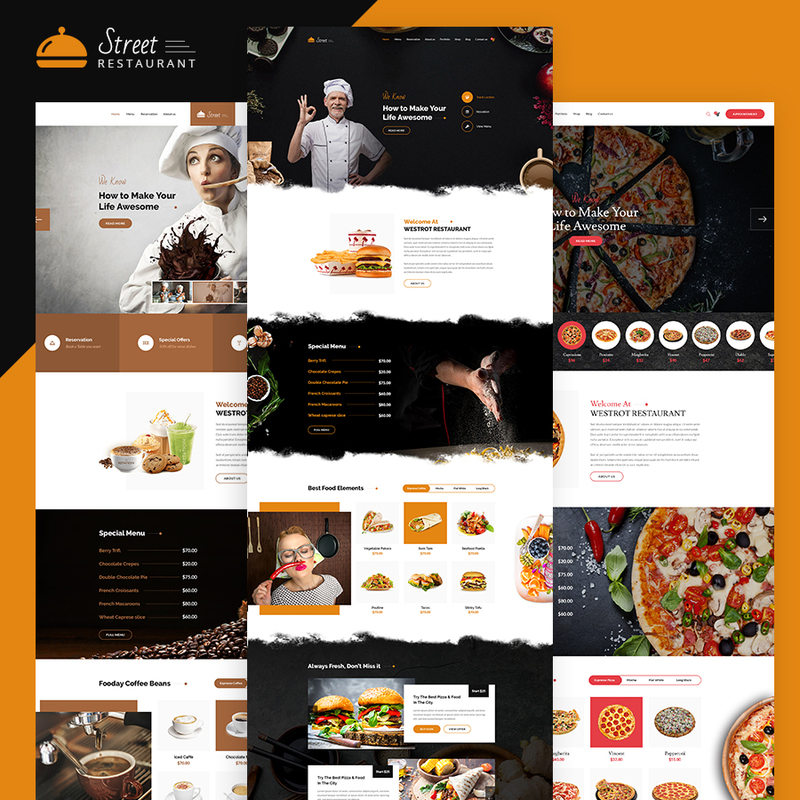 Street Restaurant is built perfectly with 2 unique Homepage layouts and many great and essential features for your business such as Reservation Online Booking, Booking Table, Events.. 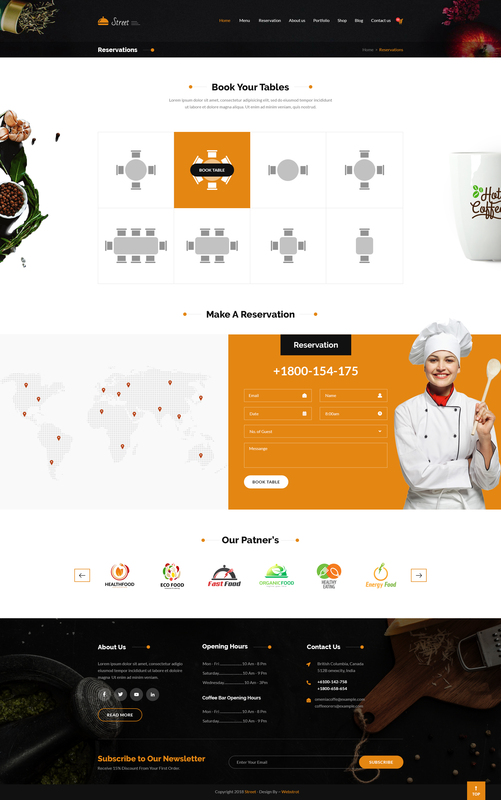 It is easy to customize and friendly with customers. If you don’t believe about these things, please spend a little time visiting and experiencing with its interest and greatness! 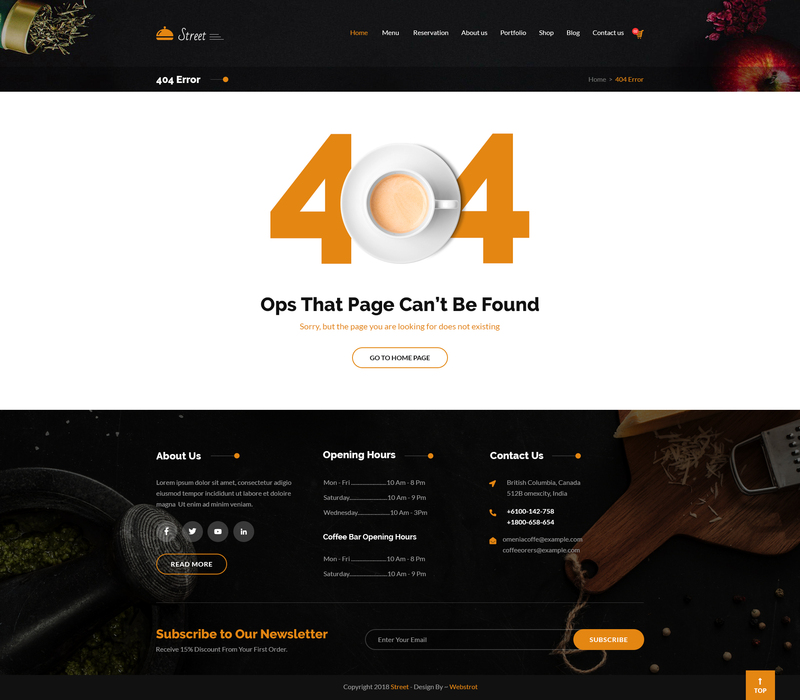 Don’t forget to rate us 5 stars if you like it.